Simple and beautiful wire wrapped Jasper Necklace with Ocean Jasper ranging in size from 25mm to 35mm. 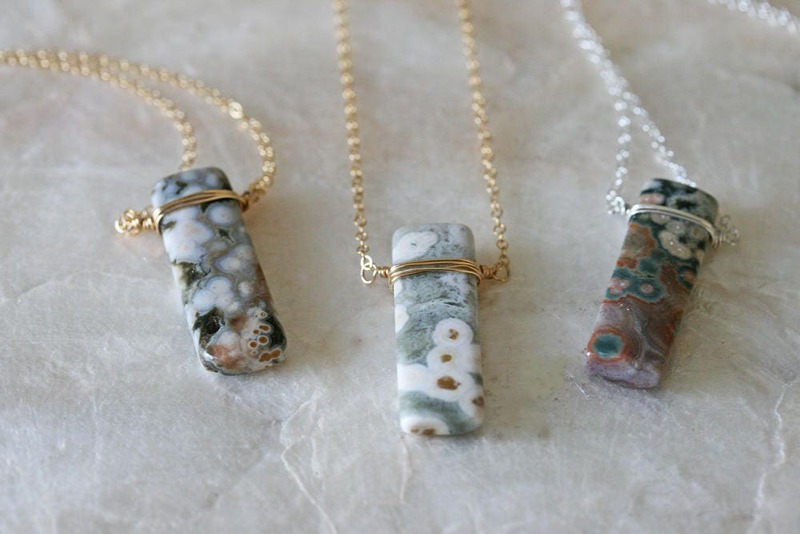 Here you can choose your own Jasper and have it wrapped in Sterling Silver or 14k Gold Filled wire. Ocean Jasper is best known for its spherical patterning and is also called, Orbicular Jasper. This beautiful, natural stone is found primarily in Madagascar. 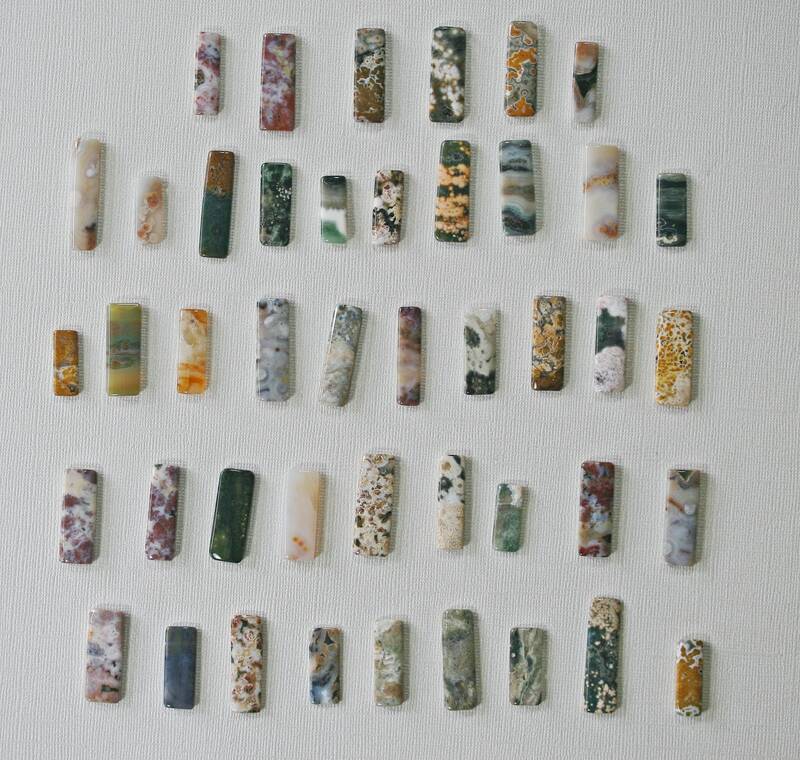 Interestingly, despite the name of Jasper, it's not Jasper at all but a variety of Quartz called Chalcedony. Whatever you call it, it certainly is beautiful with it's matrix of colors and swirling orbs. 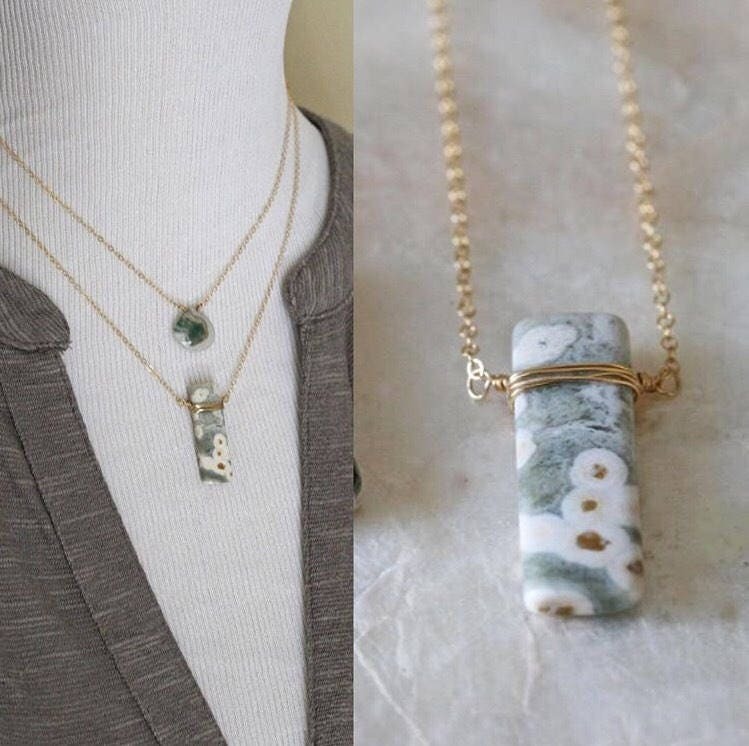 Here the beauty of the stone is showcased in a simple pendant that drapes from a ⇢delicate yet sturdy, high quality 14k gold filled or Sterling Silver flat cable chain. 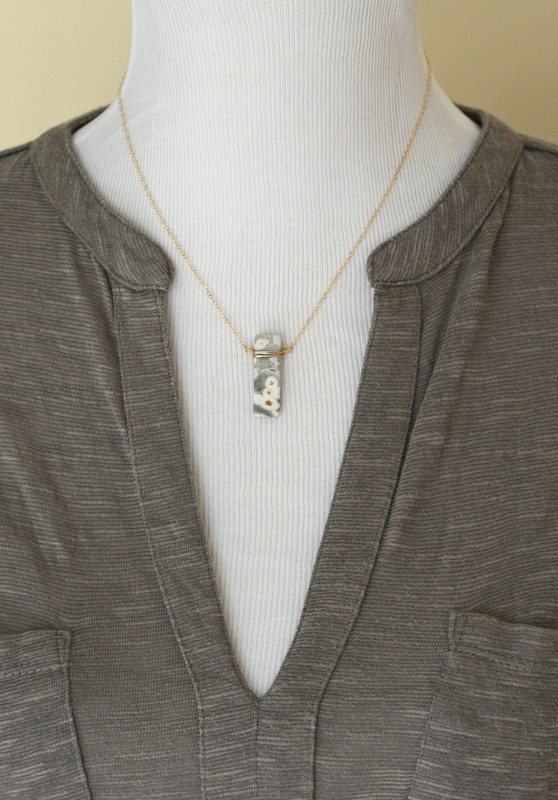 ⇠This necklace is finished with a spring clap in the finish of your choosing. Choose your Jasper from photo three and find corresponding number in drop down menu two. If no note is left, order will default to 14k gold filled. 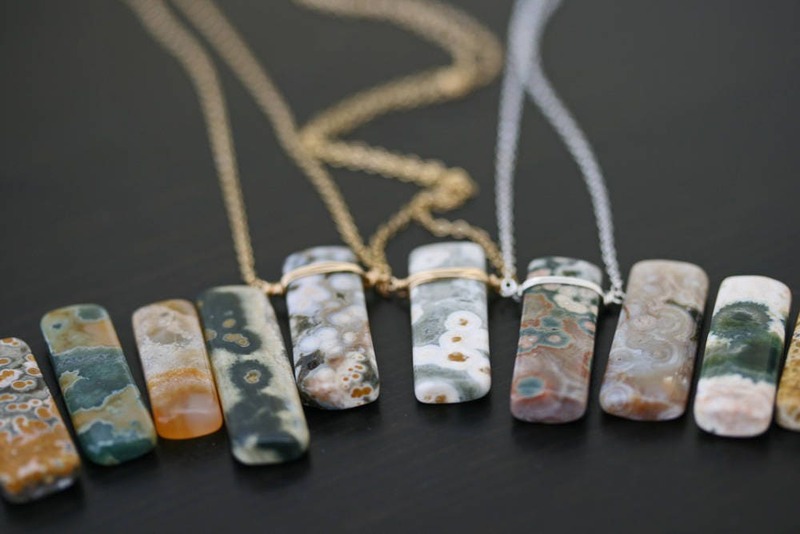 Ocean Jasper varies so greatly, please select the Ocean Jasper of your choosing in photo 4 and select the corresponding numbered Jasper in the drop down menu. A few up close photos have been added to show detail.